The Bad: It's hard to say if this is bad or not, but this movie does get portrayed to be the "Jackie Robinson Story". However, as I mentioned Harrison Ford's character Branch Rickey is almost presented as a co-star rather than a supporting role. Again, while this may not be what many expected, and while it was a risk showing something people didn't expect...I believe it paid off. But I could understand how some people may think otherwise. The Reason: I'll say this, if you've never watched baseball, or never seen it, this movie can definitely make you a fan. Unlike Django Unchained, the racism deliberately presented is not over the top, but comes off as very authentic. 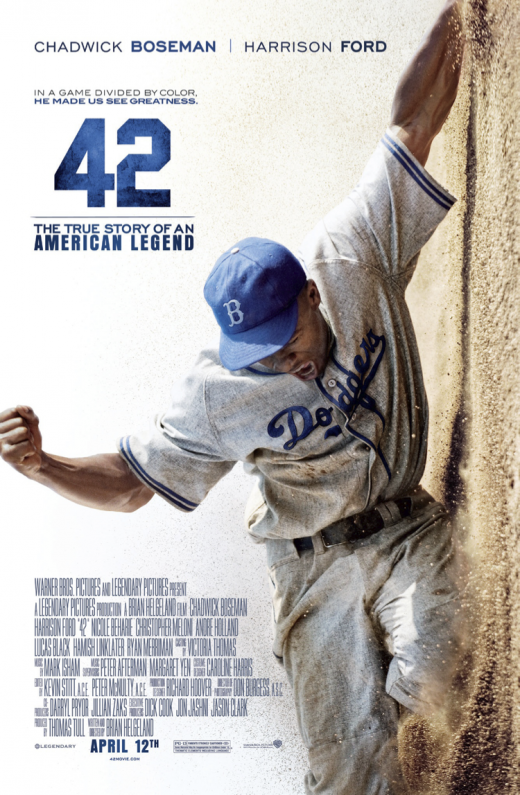 If you never knew a thing about Jackie Robinson, or if you never saw the 1950 original film, then you MUST watch this. Even if you saw the past films, or read the autobiography, you should still go see this. This is a GREAT addition for anyone's collection.